Those needing medical help can find the best medics around behind these safe, sterile and always open doors. While most of the medical professionals that work here are not shinobi, the Medical Corps of Konohagakure are not completely without those trained in both the medical and shinobi arts. She trudged through the halls of the Byoin up to the front desk. She signed in and tooka seat in the waiting room sighing. She was sure it was probably nothing but Yukio had insisted on her seeing a medical professional just as a precaution. Ok, perhaps her arm did ache a bit but it couldn't be that bad, right? After all, it was merely a spar her and the Hyuuga had been having, nothing serious. "I really hope there are no needles involved. I hate needles. "She said to herself cringing at the thought. The mere thought of it made her shudder. She rolled back the sleeve of her shirt exposing the bare arm looking down at the swollen bruises and scratches that littered her skin. Yukio's taijutsu had done a number on her and he had offered his own healing techniques but that could only do so much. She winced as the pain shot up her arm as she tried to move it. This really was bugging at her, she needed to get this checkup over and on her way. The kunoichi was not one to mope around and watch the sun go by. She had stuff to do. "If its needles, I'm blaming Yukio. "She told herself as the next patient was called forth. She tapped her foot waiting for her turn. The medical branch was far advanced but one thing they lacked was manpower. It was clearly evident. The prolonged wait times, people rushing to and fro, a panic on their faces. She frowned at that. People tended not to pay attention to it much, they tended want to live an exciting life perhaps with the Main Branch or the ANBU division. The medical portion was exciting as well in its own sense, Mikasa had assured her of that fact. Soku wondered for a bit if she hadnt gone ANBU, perhaps medical would be her next option. She let loose a small chuckle at that. It was quite contradicting in a sense. She headed a unit that literally killed people as part of its duties and here she was surronded by shinobi who's duty was to save lives, the exact opposite. Oh, fate did indeed have a strange sense of humour. She looked up at the reciopnist coughing a bit to get her attention. "How much longer? "She asked smiling sweetly or tried at least, it was hard when you had an aching limb with that nagging feeling that wouldnt stop. She really hoped needles were out of the questions. One finger after the other would slide from beneath standard powder blue latex gloves, the items being folded together within itself before properly trashed in side bin. His days felt as if they were slowly melding together, his time on call/shift having been increased in order to deal with the lack of shinobi-trained personal. The additional hours being pulled was not something that affected him, it was the status of some of those whom he had been checking on that did. Being but a simple medical ninja, much of the events taking place outside of the hospital walls were not his concern only the windfall from it. Case in point were the several injured patients fixed to his schedule whom had been injured in what he could only explain as an attack on the village by another band of shinobi. While the majority of his patients were typical injuries it was those inflicted by shinobi which were the properly harder injuries to treat as weapons and jutsu tended to do far greater and unpredictable damage to the body than what nature itself could produce. As he signed off on the patient's chart whom he'd just left, his eyes peered out into the reception wing noticing it was still somewhat filled. "Quite the injury...this is either going to be a simple case of muscle soreness or something that may require chakra based treatment. I hope she isn't intimidated by my appearance..."
"The 4th room to the right is available, mind telling me the exact nature of your injury or injuries while we walk?" His voice would betray his appearance, speaking in a warm but naturally concerned tone which for the most part would settle the initial disfavor his looks casts on new patients. For some it was enough to affirm that he had some care for their well being, for others it just served to ease their perception until they could verify his personality for themselves. In those passing seconds though, he would stand calmly and wait for the woman's response...ensuring that he followed besides her when they walked towards the room. As the reciponist opened her mouth to reply, a voice cut between them and the Captain looked to see quite..a interesting sight. It was a man..but his features were outright horrendous. Stichwork all over his body and sunken eyes, she tried her best not to let her look of shock appear on her face nodding giving the medic-nin a small smile. "Thank you, Mr....? "This was one peculiar individual. She followed the man stepping into the hallway as the stichwork man followed besides her. The Byoin hadn't changed much aside from some new faces she saw such as this curious indivdual. He looked like the needle type. She really hoped that wasn't the case. She took a moment to think when he inquired about her wounds. To be fair, it wasnt really an injury she had suffered, she had just come here for a precautionary checkup as a result of her spar but her arm was aching. "Well, I was doing a training spar with Yukio-sama and he insisted I get looked at by a medic-nin as a predcaution though now that you mention it, my right arm is pretty banged up and hurts like the devil. "She hoped he wasn't one of those new MIT. As the thought came, her arm began to throb again causing her to wince. Where was the morphine when you needed it? The mentioned room came into sight and she stepped inside waiting for the man to enter as well. "I just hope it has nothing to do with my previous visit. I tore a muscle in my shoulder-arm area from a skirmish and Mikasa-sama peformed a surgery that saved it, I hope that has no effect on whatever may be going on with me today. "She said eyeing the medical equipment with a trained eye. All these machines, numbers and beeping sounds, it was terrifying in a sense, you never knew what all they did and you better hope the doc knew what he was doing. "There...there aren't going to be needles involved...is there? "She asked hesitantly sitting down on the patient's bed rolling back her sleeve to reveal an swollen arm with all sorts of bruise and scratches. "This is the result of some very wll-placed Taijutsu, Hyuugas tend to pack a punch. "She said chuckling a bit. The image of Yukio planting those stries intio her was painful to see. She glanced at the man curiously and took in his grotesque appearance. She had so many questions for him, many of which were not related to the topic but she held it in. He was helping her, he deserved a degree of respect even if the dude looked like a mummy. She just hoped the whole needle thing would not come into play. She could do weapons and flashy jutsu all day, needles were a different story. "Just Doctor would be fine with me Ms, I am far to young to be considered a Mr. or any formal title of seniority", he said with a calm almost joking like meaner. It was something he learned early to do, give patients and people a likable personality in order to keep them somewhat calm for both medical checkups and procedures. With a clipboard in hand, he made small preliminary checks along the sheets of paper striking out obvious afflictions she could not of had. "Ah, so this is all the product of some training I would assume then..would make a lot of sense considering the fame surrounding Yukio's name. I do not personally know him but as part of my training as an medic-in-training I did triage work on an enemy shinobi brought in before. Quite the physical strength that man possesses I am sure." It would be him who opened the door for his Patient to enter, following behind promptly while listening to her explain the nature of her visit with a few more added details. He peaked his head up however at the mention of a prior-surgery, scribbling more notes down before pressing against the earpiece headset he wore. "Can I have the surgical files for Ms. Soku please. Yes, that is the one...I understand take your time.". Focusing his attention on Soku now, he would move closer to her now sitting on a swivel chair. "This may hurt slightly...", he would say before making a very light touch along different parts of her arm making note to see the changes in her facial expressions in reaction to different areas. "We shinobi are interesting, our bodies are no more biologically adept than a typical citizen's would be but that leaves the question of how we are able to take damage to the body that normally would of been life threatening. The answer is simply because we shinobi use our chakra and mold it, that same chakra creates a sort of "buffer" zone that cushions bodily harm from various sources." Something within Soku, as he spoke, would begin to change as it would seem the residual pain had started to subside. Should she look at her arm, a small marking that resembled two circles on top of each other was slightly glowing against the skin. It was a medical ward and something that did not require handseals or obvious chakra molding for him to do or complete. "Do not worry about it, this will ease your pain while we find the source of your injury. The last thing I would want to do is to use any unneeded drugs or injections when we do not have to right..". Although he was a creepy individual appearance wise, Hotoke could not help his natural urge to smile. "You see even if our bodies have that buffer, we're still prone to making sure our previous injuries have the time required to properly heal. With a muscle surgery in the same arm my initial assessment would be that you have either torn or pulled a muscle or have possible fractures, broke bones. Will have to also insure that there is no poisoning of the blood if it is in-fact a broken bone. While we wait on the charts from your prior surgery can you tell me on a scale of one to ten where the pain you felt was originating from exactly?". His chair would slide effortlessly across the floor to the nearby sink and standard instruments. Standing he'd fumble through several vials before placing a small glass container on the edge and a needle still within the sterile package next to it. Recognizing his patients subtle fear of needles he spoke as it was being placed down, "Not to worry about it, should this turn out to be muscle soreness or a pulled muscle then I would need to give you a simple steroid shot. But before I would ever do such a thing I would be sure to calm your nerves and fears. There is nothing I dislike more than seeing a fellow citizen or shinobi hurting..... He would not be shocked if she eventually asked about him personally as his whole personality and look simply did not match up. At first glance he was the type of person who should of been an Anbu agent or looked the part of a rogue nin...not a caring, loving, medic. She nodded at his words. Yukio was a pretty famous guy though if he could work on his blunt character, he could probably be more approachable, or so she thought. She watched as the medical-nin worked along her exposed arm touching various parts. She winced as his hand touched a reddened area of the skin and clenched her fist as pain shot up her shoulder. It was probably something to do with the swollen area then. She tilted her head at the strange marking he had left, whatever it was, it seemed to be easing her suffering. "This is why I couldn't be a medical-nin. All these various techniques and jutsu you guys you use. "She said chuckling to herself as he inquired to her pain. She thought about that for a second, it hurt a bit, that much she would confess but it wasn't something so harsh she couldn't bear with it. "I would say probably a 6. "She said not too sure. It could be an 9 for all she knew. She glanced around warily as the man took out a glass container with a needle kit as well. Well, things were too great to be true. "You know, its funny really, as a shinobi, I am used to all sorts of situations yet find myself scared of something so trivial such as a needle. "She said shaking her head not sure whether to laugh or berate herself. People expected ANBU to be this souless, dark demons that did the villages bidding no matter the cost. What they sometimes failed to grasp is that there were humans behind those masks and they had their own fears as well, maybe not needles but they were just like anyone else. She glanced at him once again unable to get over his appearance. "Doctor, if I may as inquire to your name? It is not often I meet someone such as yourself. "She said giving him a smile. Most medical shinobi she met were rather dull and lacked any personality if they even had any. This person, however was a diffrent case. Though, his outwards appearance did raise a few questions. She held back what she wanted to ask however for the Captain did not consider such things polite to ask of one who was treating her. She looked at him curiously as he mentioned a steroid shot. "Steroids? Isn't that the thing people use to get extremely buff or whatever? "She asked hesitantly. Soku had no intention of associating with herself with the drug. She held to her ethics and part of that happened to be refraining from any sort of drink or drug. Though, she assumed perhaps she was overreacting. The man was a doctor after all. He knew best. Her face contorted in pain for a second and she held an hand up to her left Sharingan pupil grunting in pain as her vison blurred for a second and cleared again. She really was getting old. Found his lips curved easily into a calm smirk while he continued to observe and make several more soft inspections of her arm. It was an interesting but classic case that was only somewhat clouded by the nature of the surgery she had in the same area prior. He would sit back in his swivel chair, listening intently to the woman's words while jotting some things down on the clipboard which once rested on the instrument table. "Possible torn or pulled muscle but equally showing the signs of a potential fracture or hairline fracture as well. Hmmm...". He subconsciously would have placed the tip of his pen against the left side of his lip, a twitch response he has when fully honed in on a conversation or something of interest. "You would be heartbroken if I were to tell you the truth about medical ninjutsu, in that it is all based upon one single core technique...everything else is really sub-uses for the mystical hand jutsu." His chair would once again cruise across the floor of the examination room, his hands filled quickly with several bandages as well as a sterile wipe pad. Sliding back to his patient Soku, the items would be arranged neatly along a metal pan which included the steroid shot. His eyes met her at the notion she expressed when she spoke about her fear of needles, something that visibly made him smile from ear to ear. "You are not the first and neither will you be the last shinobi to have a natural fear....after all it is not something we can pick and choose to begin to fear. If anything, you should embrace your fear as it reminds us all that we are not omnipotent or blood craved warriors. You're human, just as I am...just like a flower salesman or everyday regular merchant. Having reminders like that keep us grounded, keep us from making the fateful mistake of considering ourselves something like gods I would say...."
Unfortunately and without a doubt to Soku's dismay, Hotoke would grab hold of the syringe after making sure his powdered gloves were on correctly and gently tap against the needle with his finger several times. A single squirt of clear liquid would run down the needle's surface before the took was placed back on the table. "I am named Hotoke, my clan for generations having gone without an identifying surname." He would move to adjust the location of his chair, making sure he was comfortably next to Soku's injured arm before emitting a sort of light hearted chuckle as her speech regarding steroids. It was an understandable and justifiable comment and one he understood came from innocence not ignorance. Recognizing this quickly, he would give her an honest and earnest smile before going into detail to ease her justified assumptions. "There is nothing to worry about, it may be called a steroid shot but it is far different from the performance enhancing steroid shots. You see when we, I mean medical professionals, say steroid shot what we mean is a cocktail mixture of cortisone and numbing medicine. The cortisone is a naturally produced substance within our bodies used as a strong anti-inflammatory solution...something which will help the redness and swelling. Coupling that with numbing medicine will offer you some great pain relief long after you have left here. He would make sure she was stable and calm first before sliding his palm beneath her elbow, supporting the arm with as much care as he could possibly muster. In his other hand he would take the sterile wipe and gently sanitize the area around her vein. "Considering you can have both a fracture and a torn-pulled muscle, after this shot I am going to use two techniques to ensure that the problem is fixed. Trust me...and hey, at least you have a good vein in your arm so I do not have to prick to find one. To ease this though maybe it's best to look away from the needle for now..." After making sure she was ready and okay, he would pull a typical physician move and initiate a countdown from three, only to quickly and with expert technique introduce the needle into her vein, inject the concoction, and remove the needle faster than she would probably be able to blink twice. "And simple, right?" Placing a piece of cotton ball over the injection site while a small bead of blood rested on top of the skin, a bandage was quickly applied over this to keep it in place. "I am going to need you to lay back now and if you can, decide whether being on your back or laying on your alternate side is more comfortable for you. Once you decide that I will perform two techniques, one to add another layer of pain relief for you that while temporary will give your body enough time for the steroid shot to take effect and another to reinforce the bones in your arm which will mend any hairline fractures or torn muscles you may have. Remember though, even though I can mend you with jutsu, it does not mean you will not have a recovery time. Jutsu are useful, but they are not solve all tools...your body will still need to naturally stabilize and recover. He would smile brightly as this was his job and something he truly loved and was born to do. She took his advice her pupils averting to focus on something else as the shinobi adminstered the steroid shot. It had been so long since she had one of these. "It wasn't that bad. "She agreed glancing down at the cotton ball he had placed on the injection site followed by an bandage. She had always admired with what swiftness and professionalism these shinobi worked with. Something she lacked, for her, it was the rough and tough life of the ANBU unit. Give her a target to whack and she'd do it, however, this was far more complex. It was one of the reasons she respected Mikasa for the branch she led. Upon hearing his instruction, she nodded shrugging. "Back will be fine for me, I presume. "She replied adjusting her position on the patient table laying down on her back her fingers tapping the edge of the table. "Recovery is something I have been exposed to too often over the years, I'm afraid. "She said laughing. That brought her back to the previous time she had been here. That was not as causal as this one. She had nearly passed out if it had not been for Mikasa who was passing by who rushed her to the surgical room and did that life-saving surgery. "I do have to ask, how long have you been working with the Byoin? I see a lot of faces here and there and you seem like a new one. "In truth, she was just trying to make small talk hoping whatever these two techniques were, they were painless and quick. Those were always the good ones. She tilted her head her Sharingan whizzing as it analyzed his features. That appearance was really getting at her, she had to ask. It wouldn't be too rude, would it? "This may be too much of a personal question but..."She started looking at him. Hopefully, he wouldn't jab her full of needles. He did have easy access to them after all and dangerously good as well. She laughed inwardly at the thought. "Your external features...they are most curious..how did you come about them. You look like you have been through a lot, I don't mean to be rude or anything, just curious. "She added hastily. The guy had probably heard this a million times and was probably tired of getting asked this, that tended to be the normal reaction she got from people when asking certain questions in this manner. The doctor was extremely nice yet his features looked like that of an zombie. It just didn't add up. She just hoped that one saying was true, curiosity killed the cat. She had learnt that lesson too many times the hard way. He was truly relieved that his words had calmed her enough where she didn't feel much or fear the needle. Standing he would motion himself towards the sink, first depositing the needle into a specifically marked bin as well as trashing the gloves which had been on his hands during the injection. If there was one thing outside of his profession that complimented his work, it would of been his uncanny attention to hygiene and maintaining a clean medical facility/practice. The faucet would run as he scrubbed his hands, followed immediately by a towel dry before returning to her side. Though this whole sequence of motions lasted for maybe five minutes, his ears were well accompanied by the sounds of Soku's voice and his attention never strayed to far to not take in what she said. His eyes glanced over his shoulder as he watched her re-position herself for what was best for her, comfort wise. "Well Ms., it has been six years since I graduated from the academy and became a medical trainee immediately after due to my skill set observed while a student. I was thirteen the first time I stepped foot in the Byoin, seems like time just passes by here and now look at me." While he turned around there may have been something that stuck with Soku, given her background which he naturally wouldn't of known about, in that it was highly unusual for someone born and raised within the village to have never visited the Byoin. That would mean up to thirteen, he had never suffered from sickness or injury even whilst participating in the academy. With his arms revealed to have been equally as mutilated as his facial features had been that generally meant that something had caused his appearance purposely. He naturally would assume that this was the catalyst to her following questions, having been given a glance and confirmation that his features were not exclusive to his face. With his gaze transfixed upon her eyes, interestingly not bothered by her sharingan (Unbothered in that he did not react as if she was doing something shady or questionable) he would only return a somewhat reserved smirk. "It is to no surprise that among shinobi, capable of doing magnificent things, that some would evolve a mindset to understand just how far we can go for whatever purpose they choose. I am of no difference to those others who have pressed this question. Though to understand why my features are like this I suppose you must first understand my nature..." As he placed himself once again to her side, he would place his palms together as a film of green chakra suddenly coated his hands. There would be no questioning this though as it was general knowledge that medical chakra had a jade hue for reasons not truly understood even by himself. He'd separate his palms, placing his left gently along her injured arm's shoulder muscle, making sure that his hand covered the area of her lower neck and collarbone. It would be mild at first, but Soku would begin to feel as if she no longer had an arm, a deep feeling of numbness overcoming her natural ability to feel or move any part of the arm. "A technique called Anesthetic Infusion, it allows a medical shinobi to make a patient oblivious to pain and limbs by completely numbing the nerves of the area. Though back to your question, for a simple point about myself is that since a youth I have always disliked seeing others in pain. It was something I could not understand or grasp, that others could hurt even while you worked to help. So I began to try and understand pain itself, mutilating my body as you see it today all in the pursuit of understanding how to prevent the pain others may suffer." He'd move his glowing palm from over her collarbone, sliding it down her shoulder until the chakra around his hand covered the redness area on her skin. His right palm meanwhile would finally hover over her wrist as he spoke again. "This was while I was in the academy and I learned something about myself quickly in that my own body has a naturally high tolerance for pain and injury, so it was then that I asked...if I cannot stop people's pain and hurt, why not take it into myself. I am sure you have been aware since the lobby that for some reason your pain diminished around me. Well that is because for reasons unknown even to myself, I can absorb the pain others feel in their stead." What he said wouldn't of made much sense had the two been in an environment which she had not felt exactly what he described. Though once paired together with his mannerism, demeanor and appearance all seemed to fit like a puzzle to the type of guy he was. For Hotoke was the type of man that wouldn't allow others to hurt and would do anything to help, even take their hurt into himself with full understanding that he could handle it. In her eyes she would understand suddenly that his true nature was that of a Benevolent Masochist. It was not a sexual or body pleasure he derived from taking pain but a mental pleasure from helping someone else out. "Though I do not mind the stares and such I get from my appearance because the end result provides so much more meaning and purpose than an understandable fear of detested looks. I guess that is what makes me such a good medical professional...I only really care about the health and well being of my fellow citizens and comrades." His palms would move slowly up and down her arm and though she was unaware of it (because of the loss of feeling from the previous technique) the muscles and bones within the arm were being reinforced. Her arms calcium production had been artificially boosted, strengthening the bones in her arms through a slow process. She listened intently as he began to talk, a gentle hand tracing over her arm and soon, a feeling of numbness washed over that limb rendering it void of any feeling for the time being. She had been through these types of methods before but no matter how many times she was exposed to numbness, she could never get used to it, it was an odd feeling to say the least. "Anesthic Infusion, huh.."She mused for a moment deep in thought. All these medical terms were beyond her but thankfully, Hotoke took the liberty of explaining the technique though his next words were something Soku did not indeed expect. This man had willingly cast the pain upon himself so he could understand the suffering of others, it was commendable in a sense but also..well, she did not know many who would take such drastic action but that was her. "Well, I must say I do have a degree of respect for you though the process could not have been easy. I do not know many who would take such measures to understand pain and suffering and would instead hide behind books and documents fiddling their thumbs." Her eyebrows widened as he went on to elaborate why she was not feeling any pain at all in her shoulder. "Does that mean you are currently experiencing what pain I would be feeling..? "She began slowly,a sense of uneasieness washing over her. The Santaru hated that fact. She hated the fact to watch people suffer even if the cause was justified. She had seen death over and over again and she would have it no more, the mere thought that someone would willingly take on someone else's pain openly with no hesitation bothered her but that was their choice to make. "You know it is a sort of stalemate in a sense, your job is to heal the wounded using whatever fancy, dandy techniques and terms you doctors utilize and my job..well..is to do the exact opposite. "She said shaking her head thinking of the fact. Fate did indeed have a sense of humour after all. She looked at him again and this time, she spoke with all seriousness. "But, I must say, you are a commendable shinobi, not many would do the things you have done, I could not imagine myself doing that, You are sacrificing for this village in a sense and it is much appreciated. I guess there is a meaning to the saying, don't judge a book by it's cover. "She said smiling at him to indicate she meant no harm. This converstation had ended up somewhere she was not expecting.You learn something new everyday, huh.She thought to herself. "Your words, some touching and some misunderstood. I appreciate the support and praise which you have given me however I do not understand where you are coming from. My job is no more important or sacrificial than those who's job allow me to do mines in the first place. It might sound modest but I have far more faith and respect for those shinobi who keep this village safe on an everyday basis. It is simply my job to keep people healthy." His eyes watched her shoulder with the utmost focus, observing as the discoloration had started to fade. He knew this sign and found his lips curving into a smirk of relation. Her wound was repairing nicely and enough to where the natural processes could take over for the rest of her healing time. Keeping his palms steady, the glowing green aura around his hands would slowly fade and flicker out. Taking little time to gather himself, he strode over to the cabinets and removed two small rolls of bandages before returning to her side. 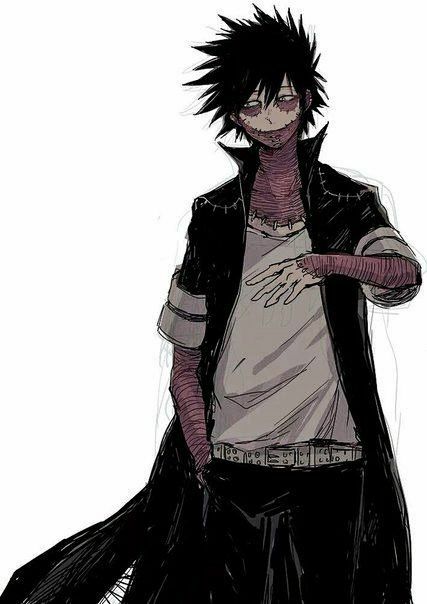 While he opened and prepared the bandages, his gaze regularly found Soku as the target of their interest. "Your swelling and bruising have gone down significantly which tells me the core cause has at least been mended enough for your body to naturally heal and recover from. I'll have to bandage your arm up however and you'll have to wear a sling for about a week unless you wish to see me again under similar circumstances. His statement was filled with both concern and sarcasm as it flowed from between his lips. The concerned side of him was worried that someone of her personality would inevitably ignore his advice and end up training or pushing herself before being fully recovered. Then there was his sarcastic side in that while he would prefer not to see her again, for some small reason in the back of his thoughts he knew that he wouldn't mind treating her again. While he began the process of bandaging her arm, a process that would require him to bandage her entire arm up to the shoulder, he would ask her a straight question, "You aren't going to take much time to recover before pushing yourself again, are you?" This was asked in a tone that just sounded as if he was willing to bet on his hunch. There were not many who sparred with Yukio while already injured prior before, so for him her history meant that she would inevitably be back training before his recommended time frame...."Such is almost expected of shinobi with your mindset and prior history...be it due to mental toughness or physical endurance". His hands were like magic moving over her skin repairing the wound as if it was nothing to the doctor. His next few statement caused the Captain to respect the medic-nin a bit smiling a bit at his words nodding in agreement. "We do what we must to keep this village functioning as a whole, without the experienced staff of the Byoin ensuring our shinobi are in tip-top shape. we would not be able to perform our duties as effectively, most poeple tend to overlook the medical branch....I did too at once. "She confessed recalling an experience she had which had opened her eyes to the inner workings of the branch. "But that was quickly corrected when I met the former Medical Chief...Suyashi was his name...I believe, the information he taught and divulged about the branch really opened my eyes and caused me to gain a new sense of respect, you guys really are the backbone of this village. "As she finished, his next question took her off guard and she had to stop and analyze carefully pondering how to reply. In a sense, he was not wrong, as an ANBU, she was always on call, ready to respond to any high-tier threats that may call for action even if she was still fighting a arm injury. She locked eyes with the medic before sighing. "I'm a fighter, it's in my blood, I simply can not sit idle and watch as life moves on. I understand the risks involved with testing the boundaries of the recovery process but at the same time, I don't some thing like an arm wound to hinder me from peforming my duties. I have suffered a lot throughout my career, Hotoke-san, some more pain is not going to hurt me. It's become almost like a natural feeling to me, it doesn't bother me anymore. "She said shrugging her shoulders. The bandaging was concluded and she gave the arm a brief glance. Well, at least it wasn't like last time where she had practically torn every muscle in her arm from scuffling with that Uchiha from Cloud, that had been quite the fight. "Thank you...I know that it would most prudent for me to perhaps kick back at home and just rest for a while, I would be lying to you if I told you I was going to do that and I am not a dishonest person. "She said shaking her head. "I love this village too much to let something like the afteresult of a spar stop me. I have had muscles torn, had my eyes torn out...."She gestured to her Sharingan pupils which flicked around here and there. "....it all failed to prevent me from moving on.....it simply is not who I am. "She said tilting her head to give the medic-nin a sad smile.